Dr. Ragins is an expert in the fields of mentoring, diversity, and positive relationships at work. Her current research examines the impact of high quality mentoring in organizations and the effectiveness of diversity training and education. She has also researched the glass ceiling, sexual harassment, racism at work, and sexual orientation in organizations. Dr. Ragins has written more than 100 papers for presentations at national and international conferences and for publication in leading academic journals, including the Academy of Management Journal, Academy of Management Review, Journal of Management, Journal of Applied Psychology, Personnel Psychology and Psychological Bulletin. She is co-author of Mentoring and Diversity: An International Perspective and co-editor of two books: The Handbook of Mentoring at Work and Exploring Positive Relationships at Work. Her research was featured in U.S. News and World Report, Barron’s Magazine, Harvard Business Review, Newsday, Wall Street Journal, The New York Times, and Working Woman Magazine. She has received a number of national awards for her research, including the Academy of Management Sage Life-Time Achievement Award for Scholarly Contributions to Management, the Academy of Management Mentoring Legacy Award, the Midwest Scholar Recognition Award, the American Society for Training and Development Research Award, the Center for Creative Leadership Walter F. Ulmer Research Award, the Saroj Parasuraman Best Publication Award, and nine Best Paper Awards from the National Academy of Management. She is an invited member of the Society for Organizational Behavior and an elected Fellow of the Academy of Management, the Society for Industrial-Organizational Psychology, the American Psychological Society, the Society for the Psychology of Women and the American Psychological Association. Dr. Ragins has over twenty years of experience serving on the leading editorial boards in her field, including the Academy of Management Review, Academy of Management Journal, Journal of Applied Psychology, Personnel Psychology, and the Journal of Vocational Behavior. She served as the Associate Editor and the Editor-in-Chief of the Academy of Management Review. Dr. Ragins is active in her professional community. She was awarded the first Visiting Research Fellowship position at Catalyst and was a Research Advisor for 9-to-5, the National Association of Working Women. She helped establish UWM’s Institute for Diversity Education and Leadership (IDEAL) and received a Fulbright Senior Specialist Award to help develop the Australian Consortium for Diversity Leadership. She also served as a Distinguished Research Fellow at Queen Mary University's Centre for Research in Equality and Diversity. In recognition of her mentoring and service to the profession, Dr. Ragins received the Academy of Management’s Mentoring Best Practice Award and the Janet Chusmir Service Award. 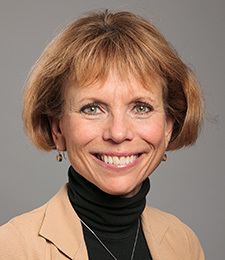 She has also received numerous research and teaching awards from the UWM School of Business and was honored with the university-wide UWM Alumni Association Award for Teaching Excellence.